We’d love your help. 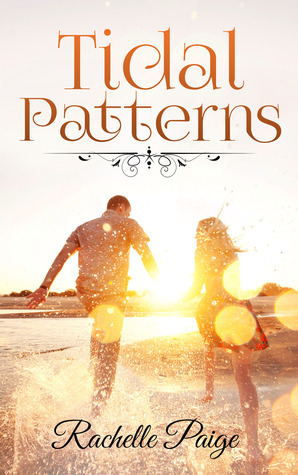 Let us know what’s wrong with this preview of Tidal Patterns by Rachelle Paige Campbell. Elizabeth Shaw is the preeminent, and only, wedding planner at the historic beach resort on Jekyll Island. She's sure she'll land the newly created role overseeing all major events. Then she’ll get a raise and won't be forced to leave. Mark Edwards doesn't need any more stress. He's ready to slow down and enjoy the tiny seaside town he calls home. His boss pushes him to ap Elizabeth Shaw is the preeminent, and only, wedding planner at the historic beach resort on Jekyll Island. She's sure she'll land the newly created role overseeing all major events. Then she’ll get a raise and won't be forced to leave. Mark Edwards doesn't need any more stress. He's ready to slow down and enjoy the tiny seaside town he calls home. His boss pushes him to apply for the new management position and he agrees. After a decade in catering, he's sure he can do the events job without any trouble. To ask other readers questions about Tidal Patterns, please sign up. This is my first read by Rachelle Paige. Tidal patterns was a sweet romance story between two event planners who are workaholics. I liked this romance between Lizzie and Mark it was a clean read only kissing. There are some funny moments between the couple. I would have liked more character development and more passion in their romance but overall I enjoyed this book. This is an HEA love story. This is a new to me author. I received an offer from Ms. Paige to read Tidal Patterns in exchange for an honest review. The book description sounded interested, so I accepted. This was an enjoyable read. The book starts out at a fast clip, and the pacing was steady throughout the book. I enjoyed both characters and the friendship that grew between them. I loved the heroine’s friend, Rose. She is feisty and down to earth. Lizzie is a likeable character. She is a woman on a mission and is willing to This is a new to me author. I received an offer from Ms. Paige to read Tidal Patterns in exchange for an honest review. The book description sounded interested, so I accepted. This was an enjoyable read. Lizzie is a likeable character. She is a woman on a mission and is willing to work incredibly hard to achieve her goals. She has a loving relationship with her brother, and is a dedicated friend. She certainly likes Mark, but for me, what they have is friendship. I also liked Mark’s character, but I did not fall in love with him. When he takes the job, knowing it is not what he truly wants to do, bothered me. Then he takes advantage of Lizzie’s work ethic. It was so obvious his heart was not in the job. Now, I did like his dog Scooter a lot and he added a sweet component to the story. Unfortunately, I did not feel a lot of chemistry between Lizzie and Mark, partly because what I read was a bit superficial. I never truly bonded with either character to the point I fell in love with them. I think they were better friends than lovers. This is a sweet, sometimes funny story with interesting characters. The book is well-written, and even though I did not love it, I did enjoy Tidal Patterns and would probably read other books by Ms. Paige. Happy reading! I enjoyed Tidal Patterns. It follows two characters who have experienced loss who do not know if they are ready to enter the world of making new relationships. There is an immediate attraction for both of them, but they are hesitant to act on their feelings. Lizzie wants a new position at the Island resort she works at. She is good at her job and is qualified for the promotion. She also needs it to fulfill the stipulations in her parent's will. Mark is asked to apply for the position. He is unsur I enjoyed Tidal Patterns. It follows two characters who have experienced loss who do not know if they are ready to enter the world of making new relationships. There is an immediate attraction for both of them, but they are hesitant to act on their feelings. Lizzie wants a new position at the Island resort she works at. She is good at her job and is qualified for the promotion. She also needs it to fulfill the stipulations in her parent's will. Mark is asked to apply for the position. He is unsure that it is something that he wants to do. In this case, the job gets in the way of a budding friendship and romantic relationship. I liked the characters. Both had a lot to give, but because of previous hurts were afraid to extend themselves. The relationship seems to progress slowly, but in reality, it is a very short time period. A lot of the building of their feelings takes place while they are talking to friends. I felt that situations in the background were not fully resolved. You have an idea of why Lizzie is denied a raise, but it is left a little vague. The state of the will and Lizzie's decisions left me wondering about what the consequences will be. Those were a few questions that I was left with and maybe there will be a book in the future that will answer them. I really liked the concept of this story and thought it was a really neat idea and story. It was a sweet romance which can be an ongoing story arc for other characters. While I liked most characters and the villain, I however was not a huge fan of the both of the main characters, sadly. While in most books I like the dual POV, in this book it seemed almost too much and with their “inner ”dialog it all seemed very long. They argued with themselves way to much and often like I said, whiney. Sometimes it just seemed like the same stuff over and over. Overall I thought it was a sweet story, but the characters could have used a bit more work and or less in some points. Sweet, clean contemporary romance. A quick light read. This review has been hidden because it contains spoilers. To view it, click here. The idea of this book caught my attention - two people overcoming two very different losses in their lives, and finding someone new that made a good team once together - but the actual execution of the book didn't quite meet the mark. For the characters, I really liked Rose and Phil - they were well developed with their own personalities and voices, and I appreciated the villain character of Frank Cade (I loved to hate him). However, Mark and Lizzie were a different story. There was a lot of inn The idea of this book caught my attention - two people overcoming two very different losses in their lives, and finding someone new that made a good team once together - but the actual execution of the book didn't quite meet the mark. For the characters, I really liked Rose and Phil - they were well developed with their own personalities and voices, and I appreciated the villain character of Frank Cade (I loved to hate him). However, Mark and Lizzie were a different story. There was a lot of inner monologue for these two characters, and it often sounded like the same person, even repeating similar phrases that the other used. At one point, Mark was thinking to himself about how he liked the cut of Rose's hair and how it fell across her face, which is something I couldn't believe a grown man in his 30's would ever think about to himself about a grandmother type figure; it seemed like more of a feminine comment about a friend's nice haircut. So much of the story was within the two main characters' inner thoughts that I was taken aback with the ending declaration of love on Mark's part, and then quite shocked at his proposal and Lizzie's agreement. I saw them getting together in some way, but so much of their "relationship" was just thoughts to themselves, when their actual interactions were heavily detailed in their work activities. From a writing perspective, I didn't feel that an actual conflict was created until 75% into the book. Yes, there was an ever present stress of applying for the job/dealing with the new job/who should keep the job/etc, but the inner struggles of the two characters (Lizzie's loss of parents and economical situation and Mark's failed relationship) were kept low-key to the reader for a large portion of the story that it was easy for the reader to just feel "work stress" for a long part of the narrative and not get pulled into the story until the real conflicts of the characters had been revealed. The writing was well done for the scenery and locations of the book; I felt like I was on the beach with the ocean nearby, or feeling the wind whip around me with the threat of the storm. Tidal Patterns is about two workaholics with troubled pasts who vie for the same events job on the island they live on. I actually liked the work conflict better than the romance aspect. Mark and Lizzie spend a lot of time thinking about each other, with little going on between them other than a few very short conversations at first. This is clean, but aimed at adults. A nice, light read. I recieved a copy of this book in exchange for an honest review. When I picked up Tidal Patterns I really wanted to read what I would call a sweet love story, and this book totally hit the spot. It tells the story of Lizzie and Mark, two event planners that live on Jekyll Island. They meet, and there is instant chemistry, but vying for the same job puts their budding romance on hold. Eventually theses two come to their senses and realize they aren't really living the life they intended. The characters were enjoyable and the HEA will put a smile on your face. Rachelle Paige Campbell writes contemporary romance filled with heart and hope. No matter the location—big city, small town, or European kingdom—her feel-good stories always end with a happily ever after. She’s grateful for the support of her family, her robot floor cleaner, and her reluctant writing partner (her dog).